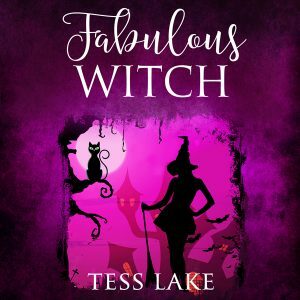 The Fabulous Witch Audiobook is now available! You can buy it at Audible, Amazon or iTunes. Harlow Torrent, part-time journalist and full-time Slip Witch has a new job working on the set of Bella Bing's latest movie, filming in Harlot Bay. It's meant to be a change of pace but when the lead actor, Mattias Matterhorn, dies on his first day on set, Harlow is pulled into a dangerous plot. A saboteur is on set and they'll do anything to shut the film down… including murder. With the ghost of Mattias demanding she find his murderer, her witchy cousins Molly and Luce tracking down a thief and her Aunt Cass getting into hot and spicy trouble, Harlow has her plate full. Book #4 of the Torrent Witches Cozy Mysteries series.